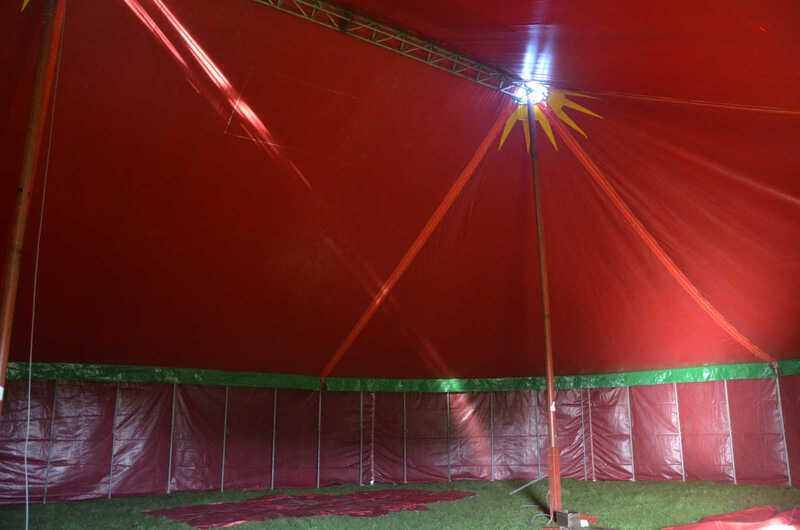 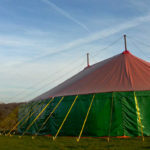 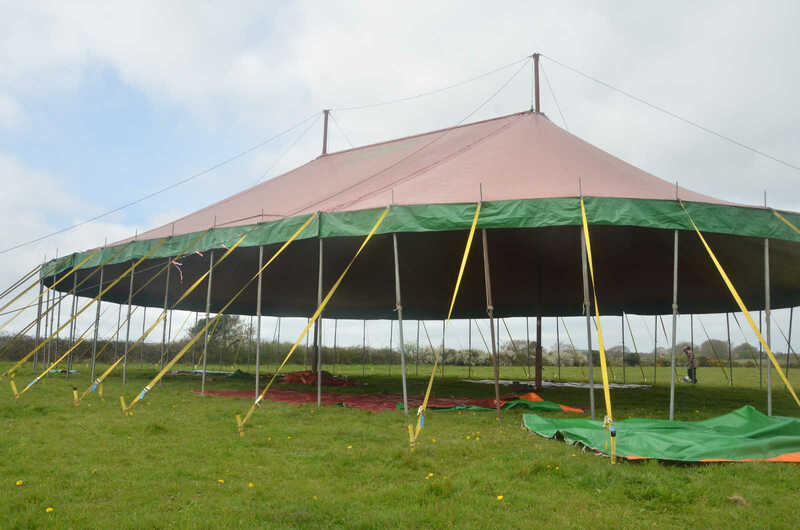 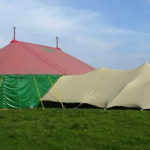 The Big Top Tent that we have available hire is a 60 foot by 90 foot blackout Big Top with 11 1/2 foot walls. 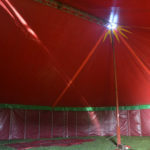 Has full hanging capability for circus lighting or sound system. 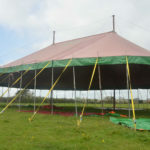 Ideal as a big open space for festival stages and events, alternatively the big top with its tiered seating is ideal for shows or conferences.